Use a soft toothbrush. Start brushing on the upper right. Brush above and below the braces using a small circular motion. Slowly work your brush toward the front teeth and over to the left side. Then brush the insides and biting surfaces. Take your time. Yes, you will feel uncomfortable especially if you are wearing elastics. Each tooth will feel loose and wobbly as it moves. Biting on these teeth may make them more uncomfortable. Some form of pain relief may be needed. Use whatever you would use to relieve a headache. Within 48 hours the initial discomfort should go away, however your lips and tongue may then feel sore from the rubbing. Use wax on any part of the braces that feel rough until the lips and tongue get used to them, then you may not need the wax. This adaptation can take up to two (2) weeks so don’t panic you will improve! The best solution for ulcers is to use your patient wax, if this does not improve the area feel free to contact the surgery for further advice. Generally, breakages mean slower treatment so you will want to avoid these! Breakages causing pain or occurring greater than 2 weeks from your next appointment are important and you should ring the receptionist to have an extra appointment scheduled. Breakages are not “life threatening” so check first if it is hurting, if not then check your next appointment. If your next appointment is within 2 weeks it can possibly wait and save you the extra appointment. If you do need to schedule an extra repair appointment always contact the receptionist first on 1800 021 064. Elastics are used to realign the bite and close space. They must be worn all the time, constantly taking them on and off will make the teeth sore. However remember to remove your elastics when cleaning your teeth. When you start wearing elastics for the first time you may find your teeth will be sore but this will settle down. Try to eat with them in, however, if this is too difficult they can be removed. 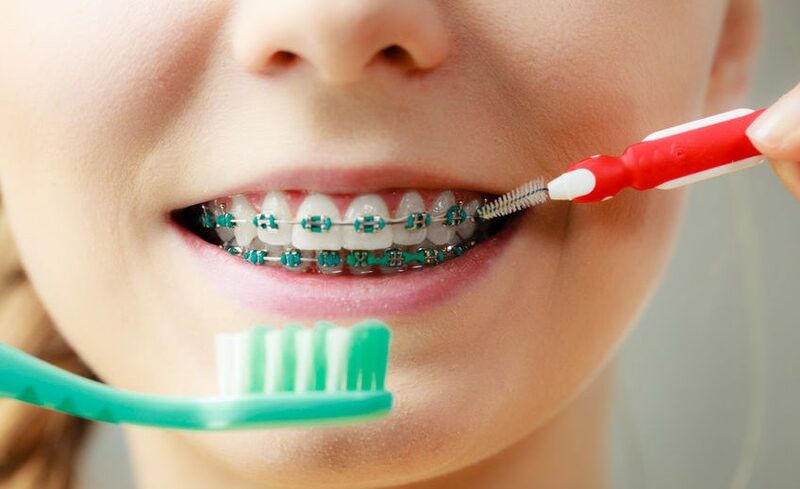 Change elastics twice daily, before going to bed at night and again in the morning after brushing. Always carry a spare packet with you in case you need to replace them. If you run out, or lose them call the receptionist on 1800 021 064 we will post them out to you.